Epinephrine injection, USP auto-injector (referred to throughout as epinephrine auto-injector) contains 1.1 mL epinephrine injection, USP (1 mg/mL), from which one dose of either 0.15 mg (0.15 mL) or 0.3 mg (0.3 mL) each is available for use by injection. The dose is administered by auto-injection after the patient prepares and fires epinephrine auto-injector as directed. The remaining volume is not available for use and should be discarded. See PATIENT DIRECTIONS FOR USE on the accompanying Patient Information Leaflet. This single, available dose of epinephrine injection, USP contains either 0.15 mg or 0.3 mg l-epinephrine, sodium chloride, chlorobutanol and sodium bisulfite, all sealed under nitrogen. Epinephrine is a sympathomimetic catecholamine. Its naturally occurring l-isomer, which is twenty times as active as the d-isomer, is obtained in pure form by separation from the synthetically produced racemate. Epinephrine deteriorates rapidly on exposure to air or light, turning pink from oxidation to adrenochrome and brown from the formation of melanin. Epinephrine solutions that show evidence of discoloration should be discarded. Epinephrine auto-injector contains no latex. Epinephrine is the drug of choice for the emergency treatment of severe allergic reactions (Type I) to allergens, such as those present in certain insect venoms, foods, or drugs. It can also be used in the treatment of anaphylaxis of unknown cause (idiopathic anaphylaxis) or exercise-induced anaphylaxis. Epinephrine, when given intramuscularly or subcutaneously, has a rapid onset and short duration of action. Epinephrine acts on both alpha and beta adrenergic receptors. Through its action on alpha adrenergic receptors, epinephrine lessens the vasodilation and increased vascular permeability that occurs during an anaphylactic reaction and can lead to loss of intravascular fluid volume and hypotension. Through its action on beta adrenergic receptors, epinephrine causes bronchial smooth muscle relaxation that helps alleviate bronchospasm, wheezing, and dyspnea that may occur during anaphylaxis. Epinephrine also helps alleviate pruritus, urticaria, and angioedema, and may be effective in relieving gastrointestinal and genitourinary symptoms of anaphylaxis because of its relaxer effects on the smooth muscle of the stomach, intestine, uterus and urinary bladder. Epinephrine auto-injector is indicated in the emergency treatment of severe allergic reactions (Type I) including anaphylaxis to stinging insects (e.g. order Hymenoptera, which includes bees, wasps, hornets, yellow jackets and fire ants), and biting insects (e.g. triatoma, mosquitos), allergen immunotherapy, foods, drugs, diagnostic testing substances (e.g. radiocontrast media), and other allergens, as well as anaphylaxis to unknown substances (idiopathic anaphylaxis) or exercise-induced anaphylaxis. Epinephrine auto-injector is intended for immediate administration in patients with a history of anaphylactic reactions. Selection of the appropriate dosage strength is determined according to patient body weight (See DOSAGE AND ADMINISTRATION section). Such reactions may occur within minutes after exposure and consist of flushing, apprehension, syncope, tachycardia, thready or unobtainable pulse associated with a fall in blood pressure, convulsions, vomiting, diarrhea and abdominal cramps, involuntary voiding, wheezing, dyspnea due to laryngeal spasm, pruritus, rashes, urticaria, or angioedema. Epinephrine auto-injector is designed as emergency supportive therapy only and is not a replacement or substitute for immediate medical care. There are no absolute contraindications to the use of epinephrine in a life-threatening allergic reaction. Epinephrine auto-injector should only be injected into the anterolateral aspect of the thigh. Accidental injection into the hands or feet may result in loss of blood flow to the affected area and should be avoided. DO NOT INJECT INTO BUTTOCK. If there is an accidental injection into these areas, advise the patient to inform the healthcare provider of the accidental injection when he/she goes to the nearest emergency room for further treatment of anaphylaxis. Avoid possible inadvertent intravascular administration. Large doses or accidental intravenous injection of epinephrine may result in cerebral hemorrhage due to a sharp rise in blood pressure. DO NOT INJECT INTRAVENOUSLY. Rapidly acting vasodilators can counteract the marked pressor effects of epinephrine if there is such inadvertent administration. 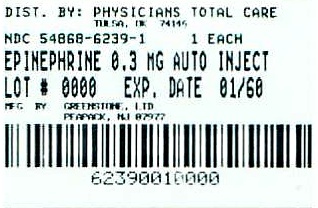 Epinephrine is the preferred treatment for serious allergic reactions or other emergency situations even though this product contains sodium bisulfite, a sulfite that may, in other products, cause allergic-type reactions including anaphylactic symptoms or life-threatening or less severe asthmatic episodes in certain susceptible persons. The alternatives to using epinephrine in a life-threatening situation may not be satisfactory. The presence of a sulfite in this product should not deter administration of the drug for treatment of serious allergic or other emergency situations, even if the patient is sulfite-sensitive. Epinephrine should be administered with caution to patients with cardiac arrhythmias, coronary artery or organic heart disease, or hypertension. In patients with coronary insufficiency or ischemic heart disease, epinephrine may precipitate or aggravate angina pectoris as well as produce ventricular arrhythmias. It should be recognized that the presence of these conditions is not a contraindication to epinephrine administration in an acute, life-threatening situation. Epinephrine is light sensitive and should be stored in the carrying-case provided. Store at room temperature (20°-25°C/68°-77°F) with excursions permitted to 15°-30°C (59°-86°F). Do not refrigerate; protect from freezing. Patients should periodically check the solution in epinephrine auto-injector for any discoloration and/or precipitates. If the solution is discolored or contains a precipitate, the patient should replace their epinephrine auto-injector. Epinephrine auto-injector is not intended as a substitute for immediate medical care. In conjunction with the administration of epinephrine, the patient should seek appropriate medical care. More than two sequential doses of epinephrine should only be administered under direct medical supervision. Epinephrine is essential for the treatment of anaphylaxis. Patients with a history of severe allergic reactions should be instructed about the circumstances under which epinephrine should be used (See INDICATIONS AND USAGE Section). It should be determined that the patient is at risk of future anaphylaxis, since there are some concerns in specific patients with epinephrine administration. (a) Epinephrine should be used with caution in patients with cardiac arrhythmias, coronary artery or organic heart disease, hypertension, or in patients who are on medications that may sensitize the heart to arrhythmias, e.g., digitalis, diuretics, or anti-arrhythmics. In such patients, epinephrine may precipitate or aggravate angina pectoris as well as produce ventricular arrhythmias. (b) The effects of epinephrine may be potentiated by tricyclic antidepressants and monoamine oxidase inhibitors. (c) Some patients may be at greater risk of developing adverse reactions after epinephrine administration. These include patients with hyperthyroidism, cardiovascular disease, hypertension, diabetes, and elderly individuals, and pregnant women. It must be noted that, despite these concerns, epinephrine is essential for the treatment of anaphylaxis. Therefore, patients with these conditions, or any other person who might be in a position to administer epinephrine to a patient with these conditions experiencing anaphylaxis, should be instructed about the circumstances under which epinephrine should be used. Complete patient information, including dosage, directions for proper administration, and precautions, can be found inside each epinephrine auto-injector package within the Patient Information Leaflet. Epinephrine may produce symptoms and signs that include an increase in pulse rate, the sensation of a more forceful heartbeat, palpitations, a throbbing headache, pallor, feelings of overstimulation, anxiety, weakness, shakiness, dizziness, or nausea. These signs and symptoms usually subside rapidly, especially with rest, quiet, and recumbency. Patients with hypertension or hyperthyroidism may develop more severe or persistent effects, and patients with coronary artery disease could experience angina. Patients with diabetes may develop increased blood glucose levels following epinephrine administration. Patients with Parkinson's disease may notice a temporary worsening of symptoms. Patients who receive epinephrine while concomitantly taking cardiac glycosides or diuretics should be observed carefully for the development of cardiac arrhythmias. The effects of epinephrine may be potentiated by tricyclic antidepressants, monoamine oxidase inhibitors, sodium levothyroxine, and certain antihistamines, notably chlorpheniramine, tripelennamine, and diphenhydramine. The cardiostimulating and bronchodilating effects of epinephrine are antagonized by beta-adrenergic blocking drugs, such as propranolol. The vasoconstricting and hypertensive efffects are antagonized by alpha-adrenergic blocking drugs, such as phentolamine. Ergot alkaloids and phenothiazines may also reverse the pressor effects of epinephrine. There are no data from either animal or human studies regarding the carcinogenicity or mutagenicity of epinephrine, and no studies have been conducted to determine its potential for the impairment of fertility. This should not prevent the use of epinephrine under the conditions noted under INDICATIONS AND USAGE section. Epinephrine has been shown to have developmental effects in rabbits at a subcutaneous dose of 1.2 mg/kg (approximately 30 times the maximum recommended daily subcutaneous or intramuscular dose on a mg/m2 basis), in mice at a subcutaneous dose of 1 mg/kg (approximately 7 times the maximum recommended daily subcutaneous or intramuscular dose on a mg/m2 basis), and in hamsters at a subcutaneous dose of 0.5 mg/kg (approximately 5 times the maximum recommended daily subcutaneous or intramuscular dose on a mg/m2 basis). These effects were not seen in mice at a subcutaneous dose of 0.5 mg/kg (approximately 3 times the maximum recommended daily subcutaneous or intramuscular dose on a mg/m2 basis). Although there are no adequate and well-controlled studies in pregnant women, epinephrine crosses the placenta and could lead to fetal anoxia, spontaneous abortion or both. Therefore, epinephrine should be used in pregnancy only if the potential benefit justifies the potential risk to the fetus. Adverse reactions to epinephrine include transient, moderate anxiety; apprehensiveness; restlessness; tremor; weakness; dizziness; sweating; palpitations; pallor; nausea and vomiting; headache, and/or respiratory difficulties. These symptoms occur in some persons receiving therapeutic doses of epinephrine, but are more likely to occur in patients with hypertension or hyperthyroidism. Large doses of epinephrine can cause acute hypertension. Arrhythmias, including fatal ventricular fibrillation, have been reported, particularly in patients with underlying cardiac disease or those receiving certain drugs [see (3) Drug Interactions]. Rapid rises in blood pressure have produced cerebral hemorrhage, particularly in elderly patients with cardiovascular disease. Angina may occur in patients with coronary artery disease. The potential for epinephrine to produce these types of adverse reactions does not contraindicate its use in an acute, life-threatening allergic reaction. Epinephrine is rapidly inactivated in the body, and treatment following overdose with epinephrine is primarily supportive. If necessary, pressor effects may be counteracted by rapidly acting vasodilators or alpha-adrenergic blocking drugs. If prolonged hypotension follows such measures, it may be necessary to administer another pressor drug. Overdosage of epinephrine may produce extremely elevated arterial pressure, which may result in cerebrovascular hemorrhage, particularly in elderly patients. If an epinephrine overdose induces pulmonary edema that interferes with respiration, treatment consists of a rapidly acting alpha-adrenergic blocking drug and/or respiratory support. The physician who prescribes epinephrine auto-injector should review this Prescribing Information insert in detail with the patient. This review should include the proper use of epinephrine auto-injector to ensure that subcutaneous or intramuscular injections are given into the anterolateral aspect of the thigh, through clothing if necessary. The accompanying Patient Information Leaflet and Wrap Label should also be reviewed with the patient. Epinephrine auto-injector is capable of delivering one dose of either 0.15 mg or 0.3 mg (0.15 mL or 0.3 mL of epinephrine). This dose is available for auto-injection by the patient. Selection of the appropriate epinephrine auto-injector dosage strength is determined according to patient body weight. The usual dose of epinephrine for allergic emergencies in patients who weigh 30 kilograms or greater is 0.3 mg (0.3 mL of epinephrine). Since the doses of epinephrine delivered from epinephrine auto-injector are fixed, the physician should consider other forms of injectable epinephrine if doses lower than those available from epinephrine auto-injector are felt to be necessary. The prescribing physician should carefully assess each patient to determine the most appropriate dose of epinephrine, recognizing the life-threatening nature of the reactions for which this drug is being prescribed. Patients should be instructed to periodically visually inspect the epinephrine solution for particulate matter and discoloration. If the solution contains particulate matter or develops a pinkish color or becomes darker than slightly yellow, the patient should immediately contact their physician for a replacement, since these changes indicate that the effectiveness of the drug product may be decreased. Epinephrine auto-injector is a patient (or caregiver) actuated product that contains 1.1 mL of epinephrine injection, USP (1 mg/mL), of which one dose can be delivered by auto-injection. THE REMAINING VOLUME THAT IS LEFT AFTER THIS FIXED DOSE CANNOT BE FURTHER ADMINISTERED AND SHOULD BE DISCARDED WITH THE DEVICE AS OUTLINED IN THE PATIENT INFORMATION LEAFLET. Two-Pack carton, NDC 54868-6239-0, containing two epinephrine auto-injectors 0.3 mg. PROTECT FROM LIGHT. STORE AT ROOM TEMPERATURE, 20°-25°C (68°-77°F) WITH EXCURSIONS PERMITTED TO 15°-30°C (59°-86°F). PROTECT FROM FREEZING. DO NOT REFRIGERATE. The patient, and caregiver, if possible, should read this information carefully before using epinephrine injection, USP auto-injector (referred to throughout as epinephrine auto-injector). You must know how to use epinephrine auto-injector before you have an emergency. This information contains additional details beyond the quick-reference instructions on the epinephrine auto-injector label. This information does not replace talking with your doctor about your medical condition or your treatment. What is the most important information I should know about epinephrine auto-injector? Use epinephrine auto-injector and go to your doctor or emergency room right away for more medical treatment. Epinephrine, the active ingredient in epinephrine auto-injector helps treat life-threatening allergic reactions. Make sure to tell your doctor about all your medical conditions and allergies. Always get medical treatment right away after using epinephrine auto-injector. Since you cannot predict when a life-threatening allergic reaction will occur, carry epinephrine auto-injector with you at all times. Look at the medicine in your epinephrine auto-injector regularly. If it looks cloudy (has particles in it), is discolored, or if the expiration date has passed, the epinephrine auto-injector should be replaced. 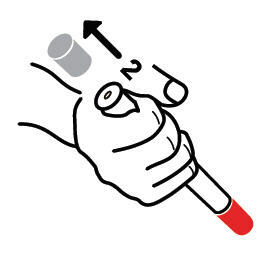 After administration, liquid will remain in the auto-injector that can't be used and should be discarded with the auto-injector as outlined in this Patient Information Leaflet. Epinephrine auto-injector is an emergency injection ("shot") of epinephrine. It is a medicine used for life-threatening allergic reactions such as severe swelling, breathing problems, or loss of blood pressure. Allergic reactions can be caused by stinging and biting insects (bugs), allergy injections, food, medicines, exercise, or unknown causes. Life-threatening allergic reactions may show up as closing of your breathing airways, wheezing, sneezing, hoarseness, hives, itching, swelling, skin redness, fast heartbeat, weak pulse, feeling very anxious, confusion, stomach pain, losing control of urine or bowel movements (incontinence), faintness, or "passing out" (unconsciousness). 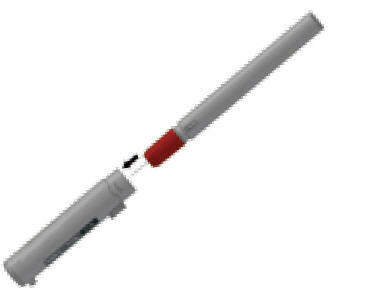 Epinephrine auto-injector 0.15mg is for patients who weigh 33-66 pounds (15-30 kg). Epinephrine auto-injector 0.3mg is for patients who weigh 66 pounds (30 kg) or greater. Use of epinephrine auto-injector must be followed by emergency medical care. Each epinephrine auto-injector unit contains a single dose of epinephrine. Who should not use epinephrine auto-injector? There are no absolute contraindications to the use of epinephrine auto-injector in a life-threatening allergic reaction. People with certain medical conditions have a higher chance of getting serious side effects from epinephrine auto-injector. Tell your doctor about all the medicines you take, including prescription and non-prescription medicines, vitamins and herbal supplements. Some medicines may cause serious side effects if taken while you use epinephrine auto-injector. Some medicines may affect how epinephrine auto-injector works, or epinephrine auto-injector may affect how your other medicines work. Diabetic patients may need to adjust the dose of their diabetes medicines or insulin after using epinephrine auto-injector. How should I use epinephrine auto-injector? 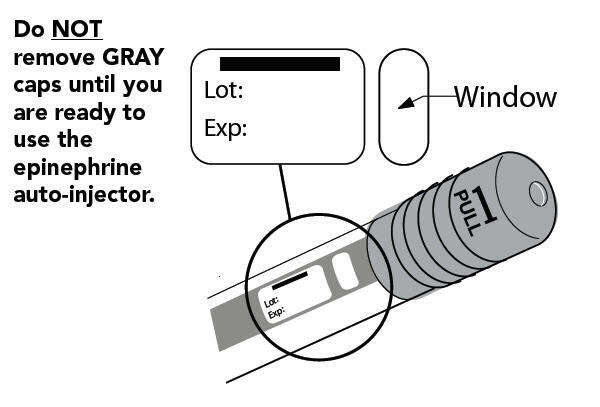 Do NOT remove the gray caps until you are ready to use. Never put thumb, fingers, or hand over the red tip. The needle comes out of the red tip. Accidental injection into hand or feet may result in the loss of blood flow to these areas. If this happens, go immediately to the nearest emergency room. Hold epinephrine auto-injector in the thigh while slowly counting to 10 to make sure all medicine is delivered. 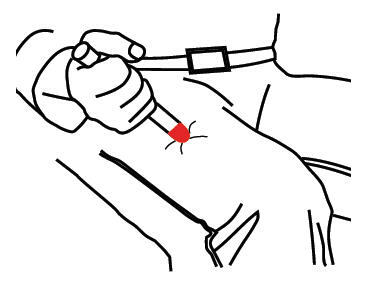 Inject epinephrine auto-injector only into the middle of the outer side of your thigh (upper leg). What should I avoid while using epinephrine auto-injector? Avoid injecting epinephrine auto-injector into your buttock or any other part of your body, other than the middle of the outer side of your thigh (upper leg). Avoid injecting epinephrine auto-injector into a vein. What are the possible side effects of epinephrine auto-injector? Too much epinephrine (epinephrine auto-injector) can cause dangerously high blood pressure, stroke, or death. If you take certain medicines, you may develop serious life-threatening side effects from the epinephrine in epinephrine auto-injector. Be sure to tell your doctor about all the medicines you take, especially medicines for asthma. Patients with certain medical conditions, or who take certain medicines, may get more side effects from epinephrine auto-injector, or the side effects may last longer. This includes patients who take certain types of medicines for asthma, allergies, depression, hyperthyroidism, high blood pressure, and heart disease. Patients with heart disease may feel chest pain (angina). Patients with mental disease or Parkinson's disease may have worsening symptoms of their illness. Epinephrine auto-injector (epinephrine) can cause the following reactions. Some reactions can be serious. They usually go away with rest. These are not all the possible side effects of epinephrine auto-injector. For more information, ask your doctor or pharmacist. How should I store epinephrine auto-injector? The medicine in epinephrine auto-injector can be damaged by light. Therefore, keep it in the protective carrying case provided. Keep it at room temperature and protect it from freezing. Do not refrigerate. Keep epinephrine auto-injector with you at all times. the medicine in epinephrine auto-injector is not cloudy, discolored, or has particles in it. Replace the epinephrine auto-injector if needed. General information about the safe and effective use of epinephrine auto-injector. Medicines are sometimes prescribed for conditions that are not mentioned in patient information leaflets. Do not use epinephrine auto-injector for a condition for which it was not prescribed. Do not give epinephrine auto-injector to other people, even if they have the same symptons you have. It may harm them. This leaflet summarizes the most important information about epinephrine auto-injector. If you would like more information, talk with your doctor. You can ask your pharmacist or doctor for information about epinephrine auto-injector that is written for health professionals. Look at the medicine in the epinephrine auto=injector regularly. If it looks cloudy, is discolored, has particles in it, or if the expiration date has passed, the epinephrine auto-injector should be replaced. The following instructions should be followed for both epinephrine auto-injector 0.15mg and epinephrine auto-injector 0.3mg. Pull off GRAY end cap with the ; you will now see a RED tip. Never put thumb, finger, or hand over the RED tip. Pull off GRAY end cap with . 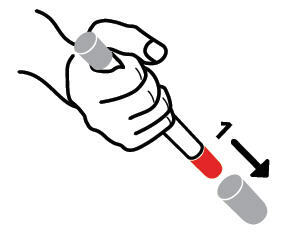 Put the RED tip against the middle of the outer side of your thigh (upper leg) as shown. It can go through clothes. Press down hard until the needle enters your thigh (upper leg) through your skin. Hold it in place while slowly counting to 10. Remove the epinephrine auto-injector from your thigh. Check the RED tip. If the needle is exposed you received the dose. If needle is not visible, repeat Step B. Put the light gray case top over the non-needle end of the epinephrine auto-injector unit and close the case. Give your used epinephrine auto-injector to a healthcare worker for proper disposal. Do NOT throw away in a regular trash can.